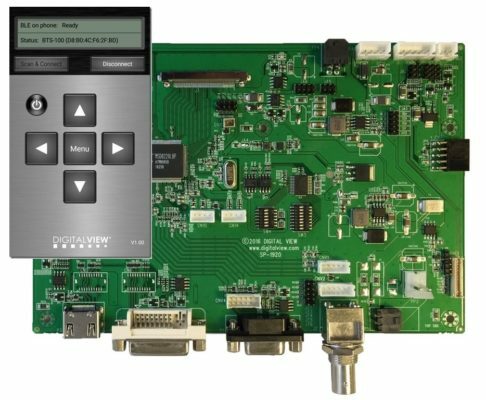 As a proof of concept we created a simple Android based application paired with a Bluetooth interface to provide smartphone control of functions on Digital View LCD controllers. The app can be readily adapted to single button functions, slider controls and other user interface styles as well as custom branding. In our testing we found the range exceeded expectations, approx 50~80ft, with excellent connection reliability. I should think the most common functions would be power on/off, input selection and brightness however as it is just a software interface commands can be combined so a single button could change both inputs and brightness.